Ruled varieties are unions of a family of linear spaces. They are objects of algebraic geometry as well as differential geometry, especially if the ruling is developable. 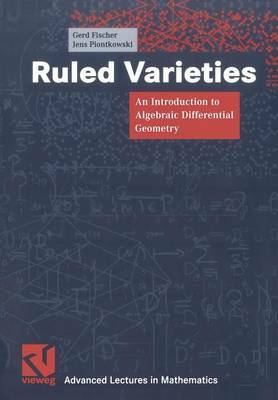 This book is an introduction to both aspects, the algebraic and differential one. Starting from very elementary facts, the necessary techniques are developed, especially concerning Grassmannians and fundamental forms in a version suitable for complex projective algebraic geometry. Finally, this leads to recent results on the classification of developable ruled varieties and facts about tangent and secant varieties. Compared to many other topics of algebraic geometry, this is an area easily accessible to a graduate course.